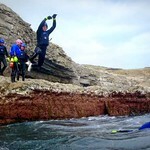 Coasteering is exploring the caves and cliffs on the Jurassic Coastline by swimming and jumping into the sea. The session is progressive and so are the jumps. 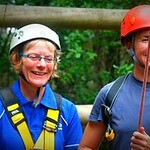 Our ethos is “Challenge by Choice”. We give you the challenges, it’s your decision on how you meet those challenges. The sea varies in conditions from flat calm to some swell and we have two locations, a good and bad weather option. We tailor the session to the group fitness level, irrespective of the location, you’ll all have a great time, no matter what. 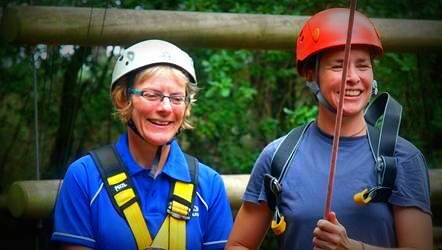 We always provide two guides for your safety and enjoyment. 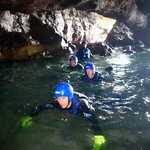 All participants will be issued with safety kit including helmet and buoyancy aid. For the weaker swimmer, one of the guides will carry a flotation tube to assist in towing. We have a morning, afternoon and early evening session. Bad weather Option – Meet at Durdle Door car park where we will change into the equipment provided and walk the short footpath to the Coasteering site. 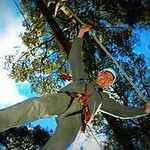 Based at our Ropes Course, you can walk across a horizontal beam 45 feet above the ground. Dive and catch hold of a trapeze bar 45 feet up. 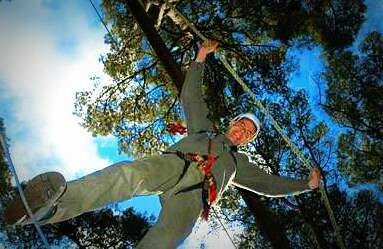 Hang tough 50 feet in the air and beat your team-mates in the number of rungs you catch! 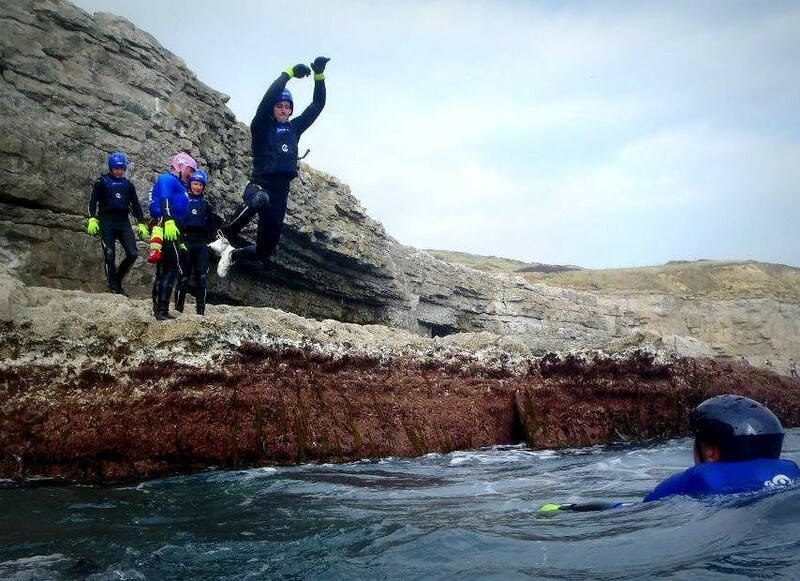 Coasteering challenges you to overcome the geological challenges of the South England coast. 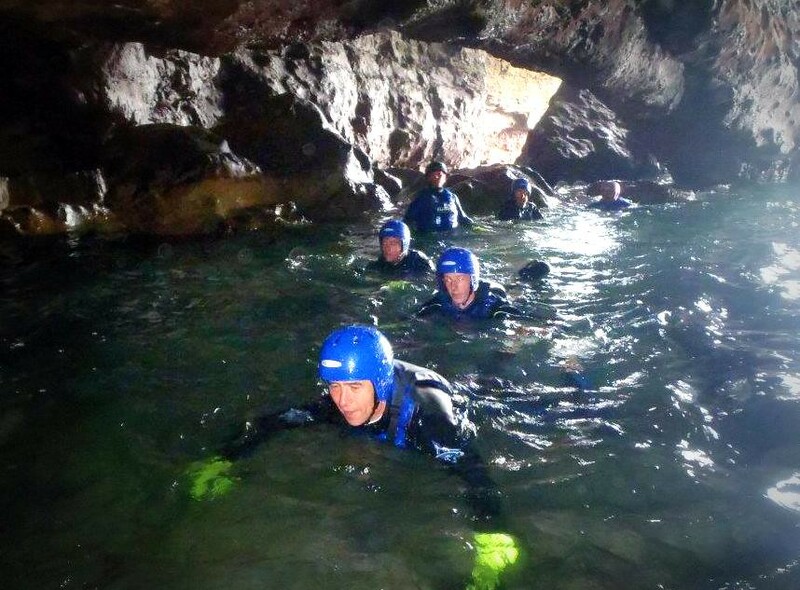 Explore caves, tunnel systems and plunge pools before taking on jumps as high as 25 ft into the English Channel!